Ride with a professional driver down the bobsled track. Its an incredible experience!!! Fun for the whole family!! Ride with a professional driver and brakeman down the state-of-the-art competition track at the Olympic Sports Complex. You will receive bobsled lapel pin, a 4x6 commemorative team photo, t-shirt, a Lake Placid Bobsled Experience sticker, membership in the U.S. Bobsled and Skeleton Federation and 20 percent off your second bobsled ride. Wednesday - Friday: 1:00 p.m. -3:00 p.m. Saturday: 10:00 a.m. -5:00 p.m. Sunday: 10:00 a.m. -2:00 p.m. 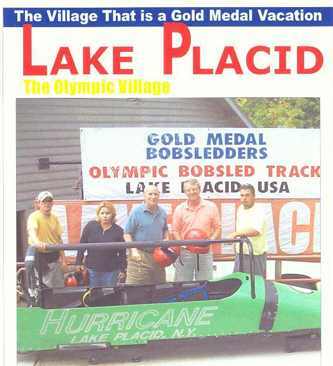 Combine with the Lake Placid Skeleton Experience on Saturday and Holidays for twice the thrill. Combo tickets are $120.00. Visit one of only 4 indoor luge training facilities in the world. FREE tour with video show each business day at 2pm sharp. Athletes train daily, year-round on three refrigerated luge start ramps.